‘Tis the season for personal resolutions and business predictions as we enter the New Year. I must admit we published a resolution for 2019 – #StopChronicBoredom (more on this later). The most common personal resolution seems to be to get into shape. Go ahead, admit it. You know at least one person that states this resolution every year. Business predictions range from forecasts on the economy (fingers crossed) to the next up and coming trends. 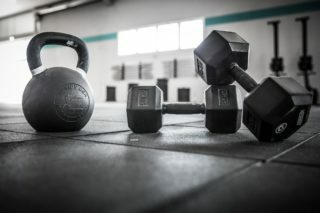 As is our nature, we thought we would take a little different take on these traditions and create a New Year mashup combining fitness and business ideas for 2019 – Crossfit for 2019: Big Ideas for Marketing Fitness in the New Year. Big Idea #1 – Make personal, emotional connections with your customers. Consumers have developed the critical shopping skills to research and learn about your products and services and compare them to all their choices in the market. Their friends, families, acquaintances, your competitors and you have provided the customers with the information they need to make choices. Amazon has made it easy to make big purchases without interacting with people. Fortunately, people still prefer to buy from people when making large personal decisions like building a home or remodeling their kitchen. Making personal connections is critical to your success to competing in 2019. Creating an emotional connection is the key to making a customer for life. The fundamentals of marketing and sales apply here – having the right message at the right place and time. You must get to know your customers intimately to be able to establish a personal relationship with them. Technology and the data it creates gives you access to much of this information including geographic, demographic, shopping and buying habits, personal preferences, important relationships and so much more. The onus is on you to have the skills to know how to gather the information and use it. Or at the very least have a relationship with a partner that can provide you with this expertise. Once you have this information, you apply it to your marketing through email, social media and targeted advertising and the content you are creating. Marketing pundits refer to this as personalization. Next, answer the question about your products, services and communications that your customers are asking “What’s in it for me?” If you do the work we described above, you will find your customers. Now you need to put your products and services into the context of the answer to this question. Account based marketing (and sales) is a well-discussed avenue to personal connection with your customers, a delivery vehicle if you please. The secret to your success is having a deep customer database, support of your sales team and killer content (think emotional connection). When you have all three of these working together, ABM(S) can be highly effective. Without any one of these pillars, you will only experience a fraction of the success you read about. The building industry has a deep tradition in experiential marketing (AKA showrooms, trade shows and events). Again reinforcing the well-know fact that personal connections are important. Knowing how to best leverage experiential marketing is another matter. Here is where the power of your content and its use throughout the buying journey makes the difference. Experiential marketing is too expensive to “build it and hope they will come.” Know how to connect to your customers before, during and after these events is the difference between showing up and increasing sales. Remember, answer the customers question “What is in it for me?” and make an emotional connection them. We believe “Content creates connections.” We have done a good job of creating and delivering facts and information on our companies, products, services and projects. Consumers have done a great job of learning how to access this information and become knowledgeable about their choices. The weakness in this academic relationship is the lack of personal connection and emotion. Does your customer share an experience with the person or people in the ad? Will this product make your customer feel better about themselves? 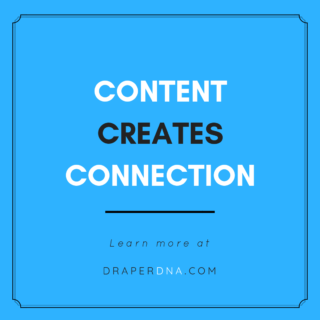 For your outreach to connect and stay, your content must reach the customers emotionally. Beautiful photos of incredible kitchens are inspiring. Adding learning about the people that built the kitchen and the family that lives in the kitchen creates a personal, emotional connection. Integrate all of your communications across all of your platforms – email, social media, advertising, video, sales support and events. This seems obvious but you would be surprised how many building products manufacturers do not. If you miss any one of these platforms with your communications, you are effectively limiting the success of your efforts in every measurable way. This is a discipline that is becoming easier to support through technology. Include your channel partners – distributors, dealers, retailers and trades professionals – with your marketing and communications efforts. Your content integrated with their content through sharing will help build communities. Through these communities you will build relationships and through your emotional connections you will build lasting, meaningful customers. Big Idea #3 – Trade print and digital advertising is DEAD! All of the facts support this opinion regardless of what your media rep tells you. Stop spending money where you are not connecting with your customers when you can invest the same dollars and resources in marketing that will connect with them directly. When they are ready to make a decision about your products and services. If you are committed to this type of advertising, reduce your cost through programmatic media planning and buying. If you ignore all of the above and choose one thing to invest in for the New Year, we recommend you #StopChronicBoredom. Take a few minutes to compare your content to that of your competition. Can your customers see a difference? Do they know these are your products or your brand through your images and copy? We looked across building products and projects categories and found an unbelievable amount of sameness in images and copy. We saw marketers not identifying their products or providing a call to action. Harvard Business Review refers to this practice as ‘collaborative competition’ where competitors believe if it is being done by one it must be good and worth repeating. We call this Chronic Boredom. Learn more about Chronic Boredom and how to stop it by clicking HERE. 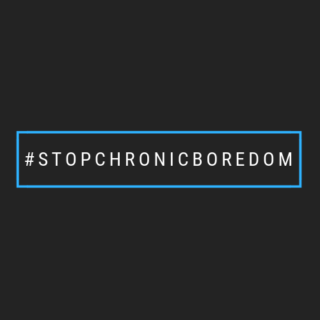 In 2019, we are asking you to support the effort to #StopChronicBoredom through your marketing efforts and by sharing this hashtag with all of your followers. We can do better than simply copying one another AND limiting ourselves to the lowest level of performance. We wish you good fortune in fulfilling your resolutions and predictions this year. Please let us know if there is some way we can help you.